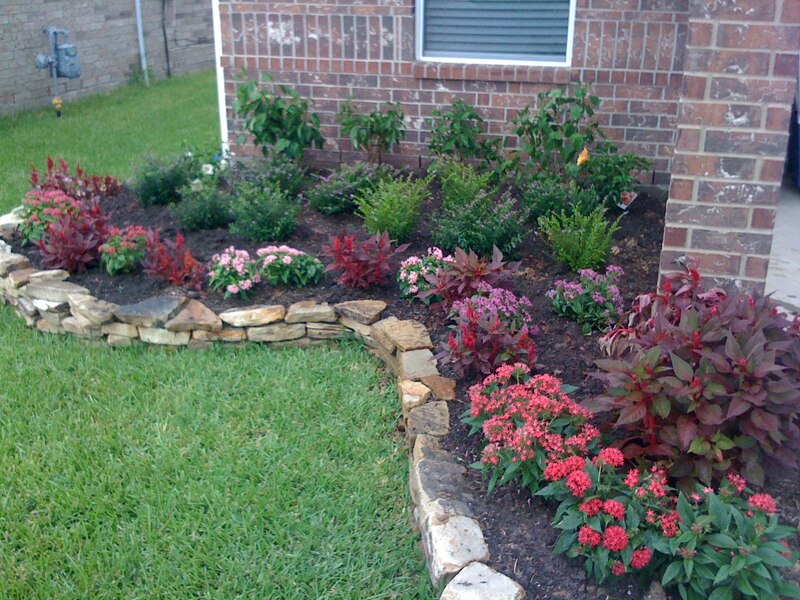 Flower beds are a wonderful asset for a commercial or residential garden. We can create flower beds and fill them with whatever flowers you want. Our Northwest and North London garden maintenance service also tends flower beds to keep them weed-free and beautiful. Forget all your pre-conceived ideas about how flower beds are supposed to look. As well as the standard ground-level flower beds, we can also create raised beds and planters. Raised beds are easy to care for because they are at a higher level than the ground, so you can tend to your plants without having to bend double to reach them. Raised beds and planters contain voracious plants in a restricted area, preventing them from taking over your whole garden. They can also help to protect plants from ground-dwelling pests, such as snails and slugs, which find it more difficult to climb up into planters than to attack plants at ground level. If you have a hankering to grow a certain type of plant that is not well suited to the local soil type, then you might find that a raised bed or planter allows you to welcome this fussy plant into your garden. You can fill a raised bed with any kind of soil you like, allowing you to include a much greater variety of plants within your garden’s boundaries. When working with you to create a stunning landscape design, we will advise you about the use of planters and raised beds and explain how they can help your plants to thrive. TerraNova Landscapes can create planters for any residential or commercial garden, and fill them with whatever plants you aspire to grow. If you want your herb or vegetable garden to be the envy of your neighbours but don’t know where to start, we can help you out by creating a series of vegetable planters filled with your favourite crops.